Parkwind and ESB have reached an agreement to kick start the offshore wind generation industry in the Republic of Ireland through ESB’s acquisition of up to 35% in the Oriel project. 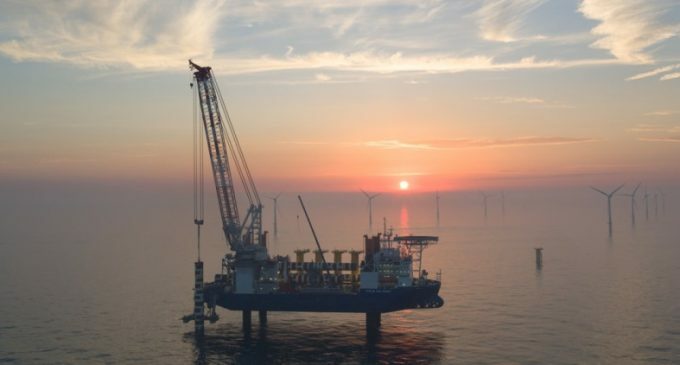 The Oriel project, located in the Irish Sea off the coast of Dundalk, has a capacity of up to 330MW and is planned to begin commercial operations in the early-2020s. Once operational, the Oriel Windfarm will generate enough capacity to cover the needs of approximately 280,000 households – most of the population in counties Louth and Meath. Oriel will furthermore contribute to the reduction of Ireland’s carbon emissions by 600,000 tonnes per annum. Parkwind, one of Europe’s offshore wind leading companies, will continue to head the project from its Dublin offices in close collaboration with ESB. ESB and Parkwind will also work together on the Clogherhead project for which ESB holds a foreshore license to commence site investigations. Parkwind will acquire up to 35% of the Clogherhead project which is intended to be developed as a unique development, under a separate planning application. Established in 2012, Parkwind is a 360 degree company that develops, finances, builds and operates offshore wind farms. With 552MW under operational management, 224MW under construction and 577MW under development, it has become one of Europe’s industry leaders. The combination of the Oriel project and Clogherhead project will make Ireland the second largest market for Parkwind after Belgium. In addition to these two markets Parkwind’s expanding international presence includes significant projects in Germany and France.